About Me/Purpose | Je Me Souviens-To Infinity & Beyond! I have always been a runner, and since 2004, a long-distance road racer. That is when I completed my first half marathon. As of September 2018, I have completed 14 full marathons (26.2 miles), 34 half marathons (plus one “unofficial” WDWHalf 2017), two 50km road races along with numerous 5km, 10km, obstacle course events and various distance road races in my lifetime. I am 34. I have always wanted to raise money for Heart and Stroke, as it affects my family personally. My father passed away in April 2004, less than a week before my first half marathon. He was the age of 51 and died from a heart attack. 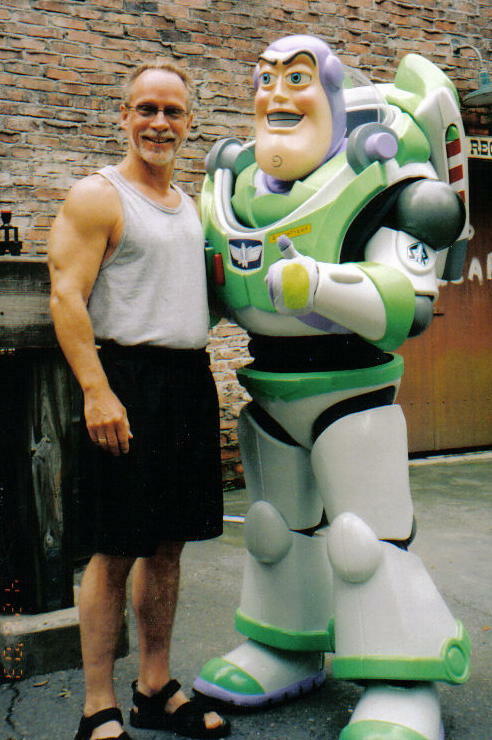 He had undergone triple bypass surgery in June 1995, and this provided us 9 more years with him. He lived his life with gusto-an active individual, he was an avid weight-lifter, biker, and runner himself. 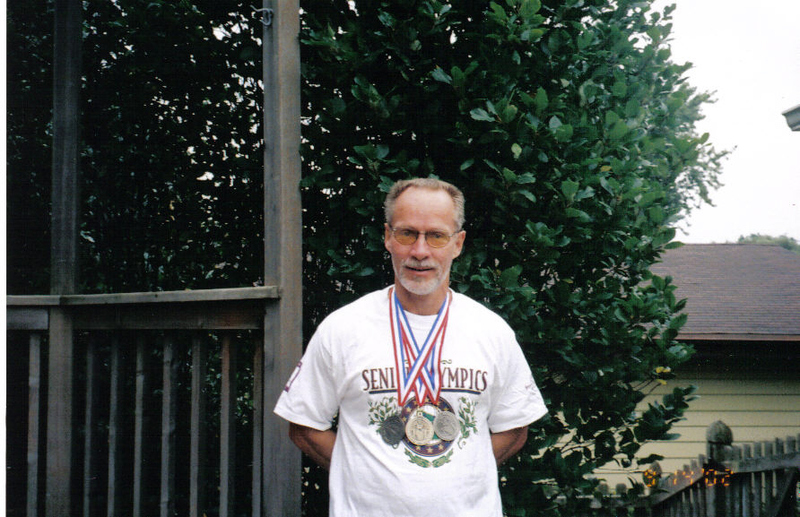 He was able to compete in two Wisconsin Senior Olympics, something he made sure to do once turning 50. Unfortunately, heart disease affects people from all backgrounds, no matter how healthy and active your lifestyle may be. Genetic makeup was my dad’s Achilles Heal, and since he was orphaned as a baby in Quebec, we never had the benefit of family history records. The disease came out of no where in 1995, and while it was treated to the best of the surgeon’s abilities, it just couldn’t be fought off. Now, that the Dopey Challenge has come and gone, the experience is sinking in. I still can’t even begin to fully appreciate this amazing event I had the chance to participate in. I have decided to continue on with my page this year, for a variety of reasons. So please….enjoy the new posts, look back on the old ones….and give feedback! Thanks very much for your blog, you have raised the awareness to check my family’s medical history. Do you have a contact number for the Sisters of the Good Shepherd in Ste-foy (address of phone number)? Thank you. Hi there. The Musee Bon-Pasteur phone number is 418-694-6233. If you do not speak French, you will want to ask for an English speaking sister. It may take a few tries. The address is 14 Rue Colliard, Quebec City. I would also suggest visiting their website because you may be able to contact a sister via email! I just checked their website and they seem to have updated it since I last visited it. Please give them a call and let me know what you find out!